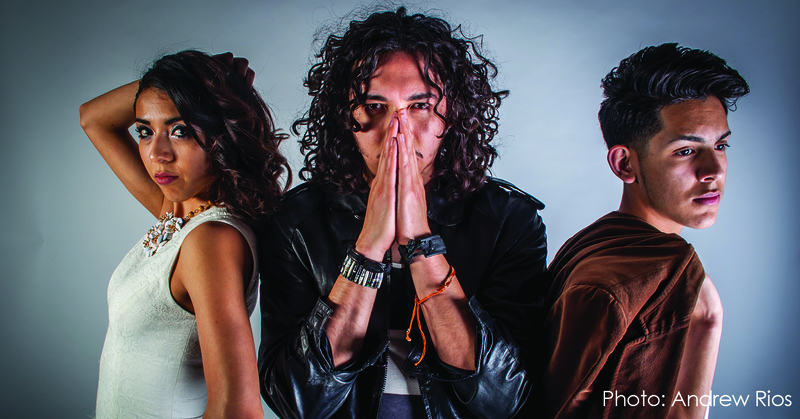 iZCALLi (Is-Cah-lee) is Miguel Avina (Guitar & Vocals), Brenda Avina (Bass) and Luis Ramirez (Drums). The band is a “Power Trio” that forges a sound influenced by styles and expressions ranging from Classic Rock to Mexican Folk, and from Latin to Indie Rock. Their music performances are full of energy that can be felt, heard and seen through a spectacle audiences will surely remember. In partnership with SpokesBUZZ and the Lincoln Center, CSU’s El Centro is hosting a Cinco de Mayo reception that celebrates the heritage of the Fort Collins Latino/a community, while also giving patrons/community members the opportunity to meet and interact with local musicians. The reception will last from 4pm to 6pm and will precede the iZCALLi concert that begins at 6pm in the Canyon West Ballroom. The Cinco de Mayo Meet and Greet is free and open to the public, and will feature local food trucks, traditional Jalisco dancers, as well as family-friendly activities. The band members of iZCALLi will be present to meet, greet, and make personal connections with patrons/community members.